The Birmingham Law Society, in partnership with Landmark Information Group, is hosting a specialist conference on identifying and mitigating environmental risks and the associated regulations. The ‘Risk, Regulation and Due Diligence’ conference is taking place at St. Philips Chambers in Birmingham on 15 September 2016 – registration is now open with special early bird rates in place until 30 June. The conference will cover such issues as identifying and mitigating environmental risk, contaminated land, flood risk, criminal enforcement, regulatory risk, energy efficiency and building regulations, as well as reviewing commercial leases and environmental responsibilities between landlords and tenants. Questions of disclosure of information and its use in transactions will also be covered along with litigious matters such as suing on warranties, proving loss and related questions of insurance coverage. Leading specialists will be presenting including keynote speaker, Professor Robert Lee, who is a renowned specialist on land based risk and is Head of the Law School and the Director of the Centre for Legal Education and Research at the University of Birmingham. Also speaking is Peter Cooke, Head of Cornwall Street Chambers; specialist environmental and planning law expert Andrew Wiseman from Harrison Grant Solicitors, who is also Chairman of DEFRA’s Contaminated Land National Expert Panel; and Chris Loaring who is a leading expert on flood risk and Head of Consultancy and Customer Services at Landmark Information Group. Simon Boyle, Environmental Law Director, Landmark Information Group said: “This conference is a unique opportunity for legal professionals from a wide range of backgrounds to gain a wealth of information on the important issues relating to environmental risk due diligence and current legislation. Registration and breakfast will commence at 9.30am, with the conference beginning at 9:50am. It will conclude at 3:00pm. An Early Bird rate is available until 30 June: Birmingham Law Society members: £90 + VAT and non-members: £120 + VAT. 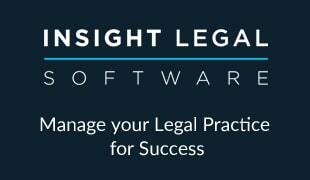 Prices after 30 June increase to: Birmingham Law Society members £120 + VAT and non-members: £150 + VAT. To register, visit http://bit.ly/1WDqMgK. The conference is 5hrs CPD accredited. For more information visit www.landmark.co.uk/landmark-legal, call telephone 0844 844 9966 or follow the team on Twitter.